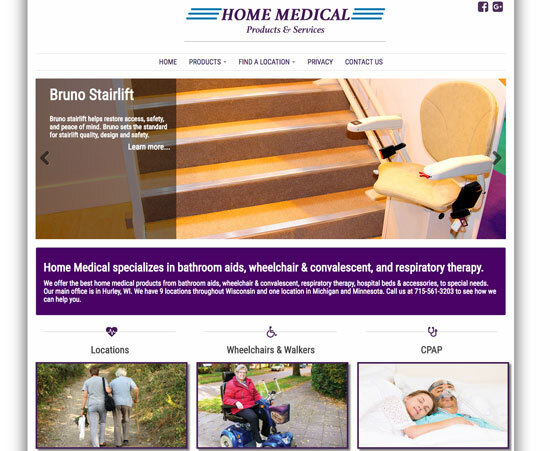 Home Medical specializes in bathroom aids, wheelchair & convalescent, and respiratory therapy. 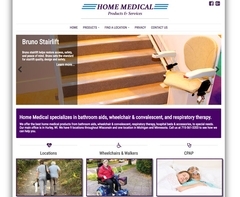 We offer the best home medical products from bathroom aids, wheelchair & convalescent, respiratory therapy, hospital beds & accessories, to special needs. Our main office is in Hurley, WI. We have 9 locations throughtout Wisconsin and one location in Michigan and Minnesota. Call us at 715-561-3203 to see how we can help you.